The permitted use of Regumate in NSW means Victorian mare Aloisia will take her place in a stakes race at Randwick. The Ciaron Maher and David Eustace-trained Aloisia runs in Saturday’s Group Two Villiers Stakes (1600m). Regumate contains altrenogest which was responsible for horses trained by Robbie Laing and father-and-son training team Russell and Scott Cameron returning positives to a banned steroid. The trainers escaped charges after investigations by Racing Victoria stewards with the governing body recommending products containing altrenogest should be replaced with the injectable progesterone. But Racing NSW has allowed trainers to continue using Regumate, introducing a local rule to deal with “inconsequential” traces of the steroids trenbolone and trendione. 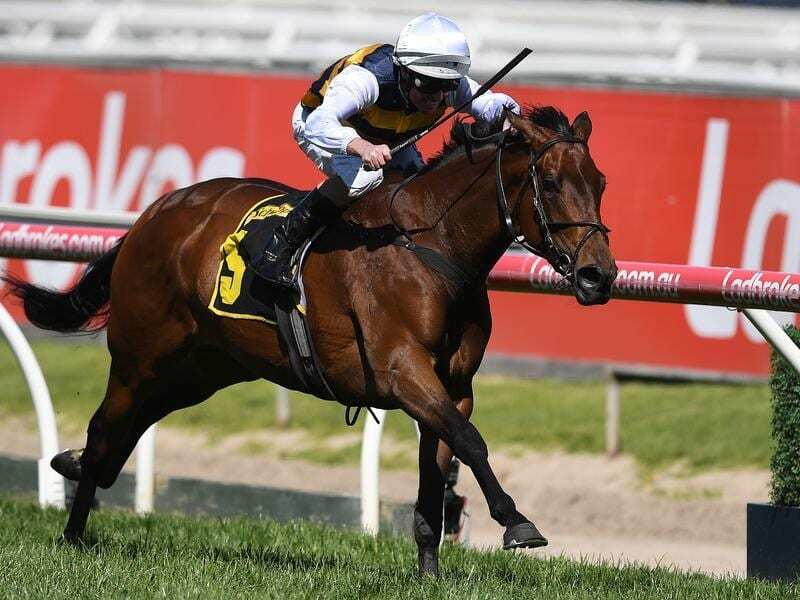 The winner of the 2017 Group One Thousand Guineas, Aloisia raced on Regumate early in her spring campaign in Melbourne including when third in a Group Two race at Caulfield on October 20. But she was not on it in two starts at Flemington during Melbourne Cup week and while Eustace cannot categorically say that was the cause for her disappointing performances, he and Maher will test the theory. “She was really disappointing (in the Empire Rose Stakes) at Flemington and then we backed her up a week later which most horses don’t do, so to be fair she only put in one bad run,” he said. “She had been on Regumate so hopefully that had something to do with it as well but you never quite know, so we’ll see how we get on as she’s back on it this run. “She worked really sharp at Stony Creek on Tuesday and she galloped with her head on her chest, so hopefully she’s back on track. Stablemate Wall Of Fire runs in the Christmas Cup (2400m) which will be his first start since finishing last in the Geelong Cup in October. The Geelong Cup followed a fourth-placed finish in the St Leger at Randwick 11 days earlier. “Rain hopefully is coming and he’ll really appreciate that,” Eustace said. “At Geelong I think we ran him back too quick and it was too firm and as a result he didn’t go a yard.